Acer has just revealed new S5 Ultrabook computer. The Ultrabook is an answer to the demand for a sleeker and thinner notebook/laptop. Did the Apple MacBook Air already answer this question? 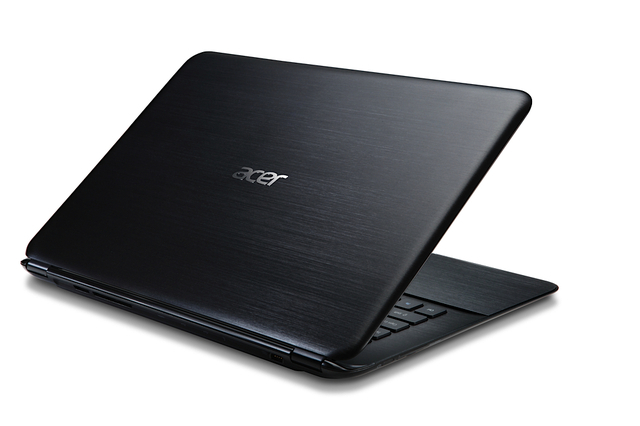 Acer is not worried about their competition in Mac because it is meant for a different segment of notebook users. The ones who use Windows OS which still controls the industry. It will be equipped with a new version of Windows on a Intel® Core™ processor. "It's a new trend that will become the mainstream for mobile PCs, and customers will see the unique features gradually extended across Acer's notebook family." says Jim Wong, president of Acer about the Ultrabook. How thin is it? The S5 is 15mm at its thickest point. Some of its other features include PowerSmart battery pack that boasts 3X longer life then previous battery packs. Magnesium-Aluminum alloy cover with brushed details for a classier appearance. Its weight is under 3 pounds and has a 13.3" LCD screen.